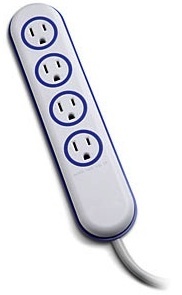 If you have a standard power socket in your home then you know that two AC ports often is a bit to little. But now there is R2-D2 that can help you with that problem. Just put this Star Wars power station on a default power socket and you know have 4 AC ports and 2 USB ports so that yo can charger your phone and tablet and still have room for 4 more things that need power. 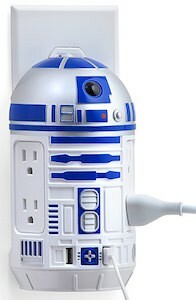 The power station looks like it is R2-D2 in half as it is flush against the power socket and the USB charger offers 1 2.1A port and 1 1.0A port so even faster charging is an option. Come and check out this fun looking Star Wars R2-D2 Power Station. If you need a normal power socket in your car then you need a power inverter and this one is even a power bar with 3 sockets and a USB port. 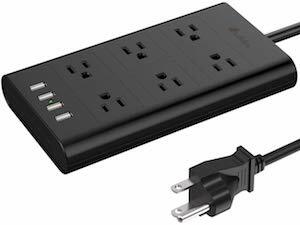 The bar offers 150 Watt of power witch is plenty for charging a laptop or something like it. 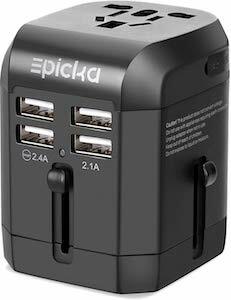 And the build in USB port will really help to charge your phone and other devices to. And with a cord length of almost 3 feet it can be easily be placed almost any where in your car. 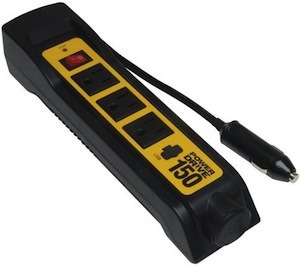 So if you need power on the road then you have to get this 150 Watt Power Inverter Bar For The Car. APC wants to make your life easier and safe. 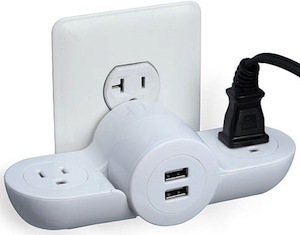 This 4 ports power outlet just connects to you normal power socket in the wall and after you do that you have 4 power sockets and 2 USB ports that are all ready for you to use. 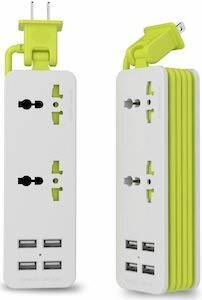 And it also acts as a surge protector so that you devices that are connected are all save from surge peeks that could harm you device. 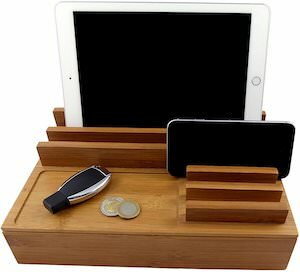 And the USB ports are strong enough to charge an iPad so that means one less charger to use there. 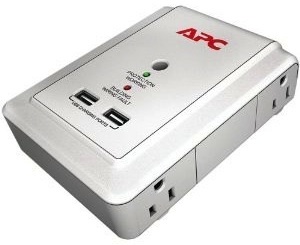 Go have a closer and better look at this APC Power / USB Outlet Surge Protector.